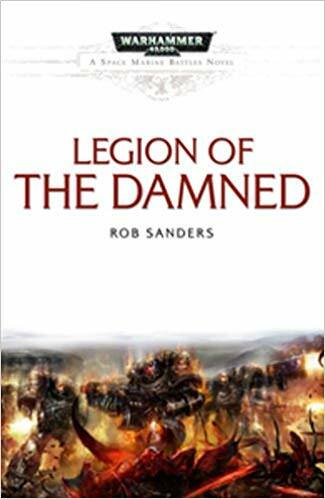 So, Christmas Eve I get an e-mail circular from Black Library suggesting that they would be sending out a special freebie on Christmas Day, which would involve an opportunity to acquire an e-book version of Rob Sanders’ Legion of the Damned, the latest volume in their Space Marine Battles series which doesn’t emerge in print until April. Oh, what a good idea, I thought. There’ll be lots of people with brand new e-readers on Christmas Day, so giving out a substantial sample of Legion of the Damned, or offering a big discount on the ebook download price, or even giving away a free ebook from the Black Library back catalogue which is connected to the book in some way, or anything like that would be a really good way to hook those potential new customers of their ebook range. Christmas morning comes around and I’m sat with a freshly unwrapped Kindle in my hand, I check my e-mail and sure enough, there’s a message from Black Library bearing links to an exclusive download of… a desktop wallpaper featuring the cover art of the book. Plus a link to buy the thing at their standard e-book price. Not one to be thwarted, I plugged in my credit card details and got to downloading the thing.